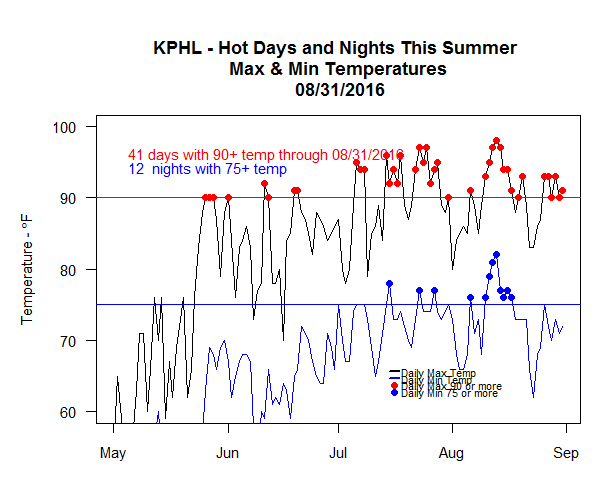 2016 has been a hot and dry summer in Philadelphia. 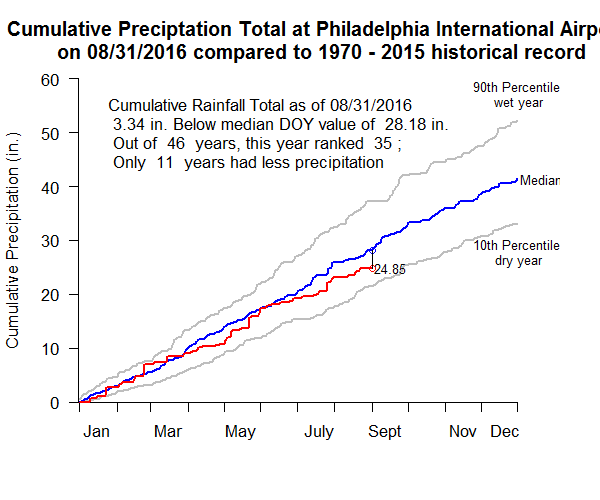 Here are a few charts that summarize the 1950-2016 daily temperature and precipitation data at Philadelphia International Airport (PHL). 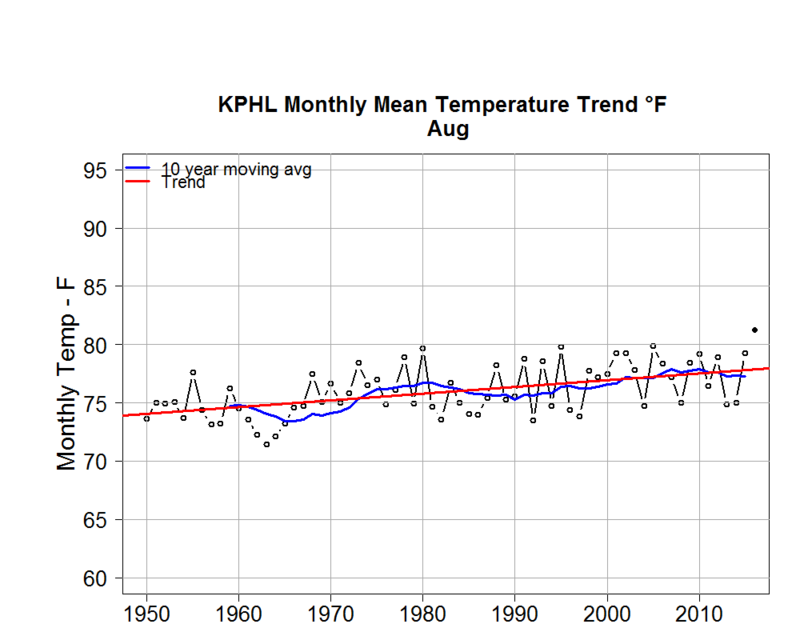 The mean temperature in August, 2016 was 81.3 F, making it the hottest August in the 1950 – 2016 period. 41 Days with maximum daily temperature was 90 or more degrees. It’s been a dry summer, we are 3.34 inches below median cumulative rainfall for this time of year. 2016 ranks 35th out of 45 years, only 11 years have had less rain than 2016 since 1970. This entry was posted in Climate Change and tagged Philadelphia Climate Change. Bookmark the permalink.